Heat tape can be a lifesaver in cold climates when water lines are exposed to freezing temperatures. 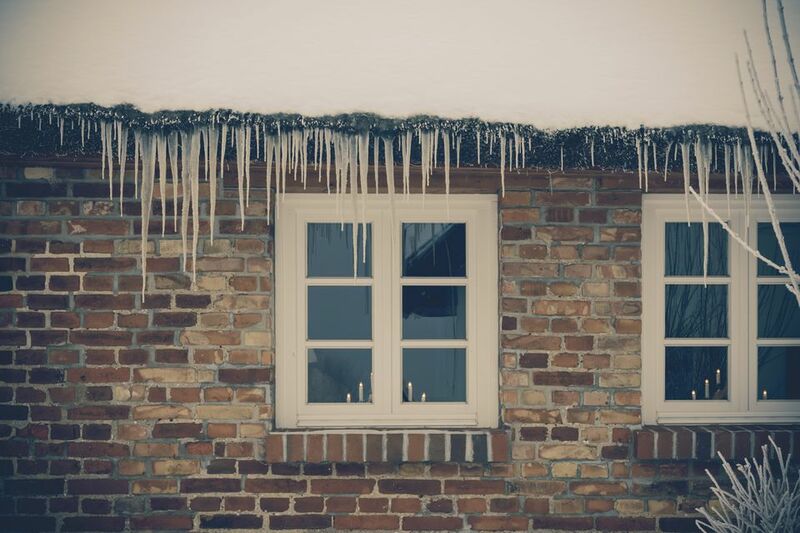 If you have ever experienced a broken or frozen water line in the winter, you know what a good idea it is to be prepared. Insulating your pipes is necessary, but it is not always enough when the temperatures stay cold for days at a time. This is where heat tape comes in handy. There are a few different types of heat tape that can be used on water lines. Knowing what options are available will help you make the best decision when winterizing your home plumbing. Here are some pipe heat tape options in no particular order. This type of heat tape can be cut to any length for a custom fit. Quite a few brands make this relatively new type of heat cable that automatically varies its heat output with changes in the surrounding temperatures. Often this type of heat tape can even be overlapped safely (check the manufacturer’s instructions), and there is no temperature control required. You can buy self-regulating heat cable by the roll and sometimes even by the foot in some hardware or home improvement stores. A connection kit with an end plug and outlet are required for this type of heat tape. This type of heat tape is regulated by a thermostat. It can be purchased by the foot or in a roll, as well. The heating cable can be custom fit to your application because it can be cut to any size that is needed and the ends are then added to the length of the cable. This type of heat tape will require a connection kit with an end plug and outlet as well as a thermostat to regulate the temperature. These are great for anyone who needs to use water hoses in the winter. Heated water hoses come in many lengths, and they are made by many manufacturers. Having a heated water hose means you can have reliable running water in freezing temperatures. Heated hoses have wires that are embedded into the hose wall. When they are plugged in the wires, heat the hose all the way through to the end. These hoses will shut off automatically in warm weather to save on electricity and prevent overheating. Heat tape kits are now smarter than ever and probably come in just about any length you might need in an already pre-terminated complete package with a power indicator light at the plug. Most of these units come with a built-in thermostat that will turn on and off saving electricity because it only heats when the temperature is cold enough. Installing the new complete package heat tape is quick and easy. Before you go to the store figure on how much heat tape you need to buy? Measure the length of the pipe twice to make sure. When selecting a heat tape to buy, you must read the package to ensure that it is appropriate for your application. Most heat tapes are ok for use on plastic or metal water lines, but it is best to make sure that this is the case before you buy. Also, make sure it has the features you want like the power indicator light (handy) and the built-in thermostat (awesome). Heat tape is meant to be insulated as well to prevent frozen pipes, so it is a good idea to buy some insulation to cover the pipe once the heat tape is on. A good choice is the long foam tubular or rubber insulation because it is quick and easy to put on and it works very well. Install the heat tape to the manufacturer’s specifications. Make sure that you do not cross the streams or wires. Many types of heat tape are just attached to the underside of the pipe and can be taped to the pipe with electrical tape. Make sure the thermostat is in the coldest area and directly on the water pipe itself to give an accurate reading. Insulate the heat tape with the pipe insulation. Make sure the pipe and heat tape are fully covered. Plug the system in, and you should be good to go. What Does Hard Water Do to Your Plumbing and Home?